Whether you just want the simplicity of having one cover for the majority of your child’s diapering years, or have more than one baby in diapers, the Blueberry Coveralls cloth diaper cover will prove to be highly economical and functional. The Blueberry Coveralls are an adjustable diaper cover for use with your favorite prefold, flat, fitted or contoured diapers. It uses a lightweight and waterproof fabric with a laminated interior that can easily be wiped clean/dry and re-used immediately. 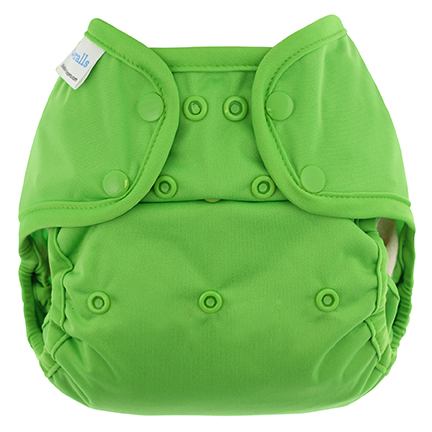 Latex-free elastic covered by soft bindings helps prevent irritation for sensitive babies. Hand/Machine wash warm (140F/60C). Tumble dry warm (140F/60C) or hang dry.